My illustrations reflect my love for simple lines and soft colors as well as my lingering fondness for childhood, imagination and a world of make believe. People often ask me the story behind the characters I create, but I have to admit there isn’t often one at all…they just grow from my pen onto my sketchbook, work tablet, research, files, napkins, etc. Although my day job is very non-artistic and quite un-creative, I have found a treasure trove of inspiration in it. A creativity void will distract me every time. Co-workers peer over my shoulder, looking disapprovingly at my notes covered in bears and giraffe and children sailing off in hot air balloons. And I just smile back at them because I still believe in magic, and that we shouldn’t give that magic up at any age or season of our life, which is the nutshell version of why I draw what I draw. I am on a lifelong journey, a pursuit, a love affair with children’s literature. My journey currently focuses on middle grade projects, but I am always on the lookout for illustrative opportunities (feel free to shoot me message about projects!) 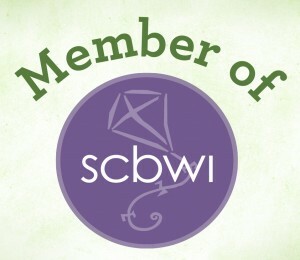 I maintain membership with the Society of Children’s Book Writers and Illustrators (SCBWI). If I’m not sketching or writing, it’s likely because a girl’s gotta eat, and so I hold down a full-time day job in local government administration and work part-time on my Master’s degree. Connected to my need for a day job, I’m a foodie who drinks an exorbitant amount of coffee and eats far too much pasta.